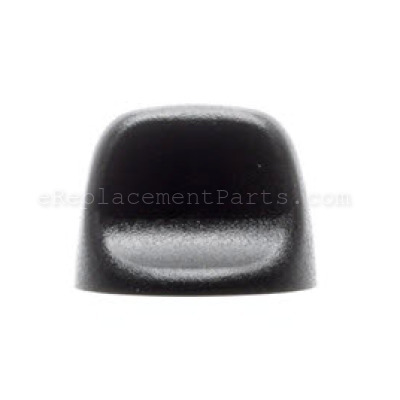 *This part replaces obsolete part #: S97014244, 97014244 and 600348. Hi Kim, thank you for your question. You have two knob listings underneath your model. The only difference between them is color. This knob is the black in color, I have listed the white one in a link below for you. I hope that helps. Good luck with your repair. Filters needed changing. Ordered knobs to have on hand because they break frequently. 1. When the old plastic switch had cracked inside, it broke off when I turned the switch to light on. 2. New switch - just pushed switch into the metal socket. 3. Your company has the best customer support I have ever experienced. I spoke with 2 different people and was amazed how knowledgeable they were. I definitely will call your company for any future replacement parts. Thank you. Screwed in the new knobs. Pulled out cracked knob and disposed of it. Inserted new knob and 30 seconds later was done! Am so pleased the knob fit perfectly because the original knob broke and family was arriving to stay for a week in a few days. I was able to get the knob sent to me quickly by paying for extra postage, and it arrived before family did.